As a manufacturer of high-end bathroom accessories since its foundation in 1961, by Acácio Alvarez Teixeira Pombo, in Portugal, from where it exports for demanding markets all over the world, POMBO is a domestic manufacture company, which develops all its creations internally using exceptional human resources. We offer a wide range of products, mainly due to the flexibility and variety of the equipment available. It is also perfectly possible to customise and adapt our products to the specific sizes and characteristics that each space requires. 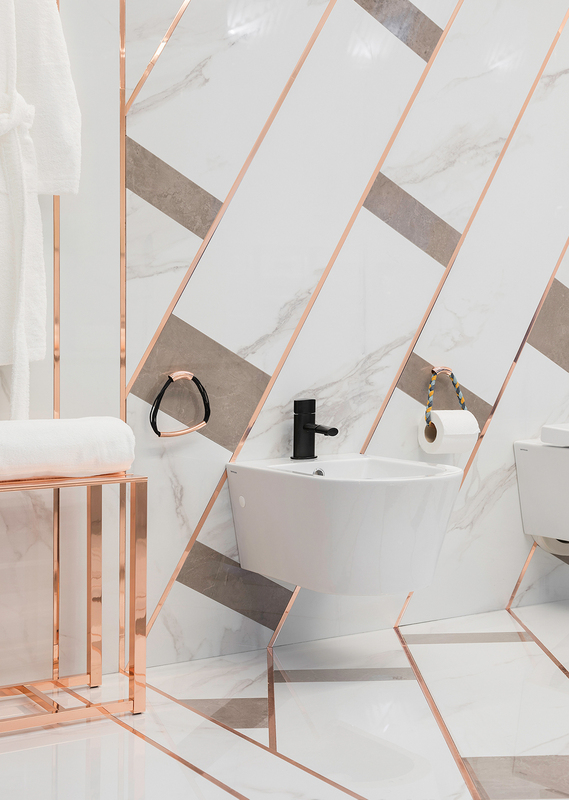 However, our main goal is to manufacture sets of bathroom accessories including hooks, towel rails, , soap dishes, shelves, toilet roll holders, toilet brush holders, among others, entirely produced in brass, aimed at the medium, medium-high and luxury market segments. Since its foundation, POMBO has always understood and promoted design as a distinctive element in its products: it promotes value, gives meaning and conveys emotion, creating accessories through this brand of excellence. A rigorous selection of raw materials, modern production equipment, careful production control, strict environmental concern and a talented team, guarantee the quality through which our products are recognized. Within our development strategy for the European market, we have now a representative office and showroom in Paris – POMBO|design France – responsible for the sales management of the Central European market and which granted higher visibility to the brand. With the strategic purpose of reinforcing the POMBO brand, by demonstrating that our differentiating characteristics in terms of quality, innovation, design and associated services are those that distinguish us from other companies and that constitute a powerful weapon against the fierce competition, POMBO searches for the prestige that the permanent promotion in the appropriate media can offer, a principle that motivates us to participate in the most prestigious and recognized international fairs and events.